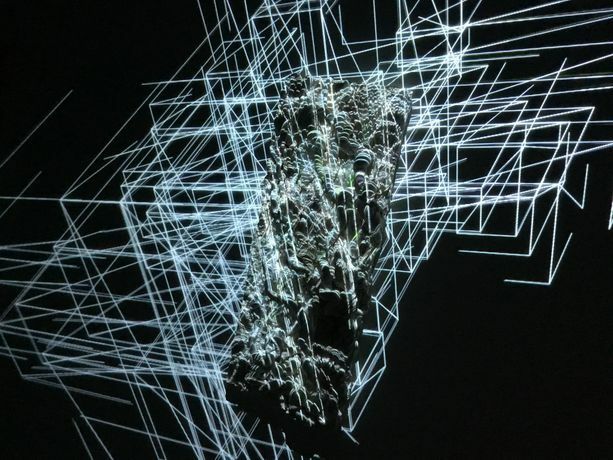 Light, textiles, code, architecture, painting, and sound merge in immersive assemblages that anticipate human behavior in the age of algorithms. What is the manifestation of our actions in a mixed reality where borders between the intangible and physical transform and disintegrate? Conjuring the invisible, quasi-mythological entities that increasingly shape our digital worlds and collective experience, generative forms illuminate and set in motion woven compositions that twist and flow between 2- and 3-dimensional planes throughout the exhibit. From artist-driven code frameworks and real time sensory feedback, the surrounding environment never assumes the same form twice. Anybody who enters becomes integral to a shifting, open-ended experiment of space, materials, processes, and people.